Look at the stars – very romantic and interesting. But a lot more exciting not just to consider the night sky and look at certain celestial body. For example, try to find in the sky Jupiter. The appeal of Jupiter on its axis in the Solar system is thirteen months. Therefore, before trying to find Jupiter, find out if you could see it at the moment. Jupiter is visible for a few months, a few hours every night until midnight and after. To find out when Jupiter will appear in the sky again, use the field guide. In it you can see what clock is best to observe this planet. The planet Jupiter is one of the few that can be found with the naked eye. If you want to find in the sky Jupiter, look for it on the Southeast side. To find in the sky Jupiter, first you need to find the constellation of Pisces. It is not very visible, located near the constellations Andromeda and Pegasus. In the constellation of Pisces no bright stars, and its generally quite difficult to detect. Make every effort to do this, use the map of the sky – without it you are unlikely to understand all the constellations by memory. Jupiter moved through the constellation of Pisces, so his location changes. It is enough to know only the approximate location of Jupiter to find it in the sky. 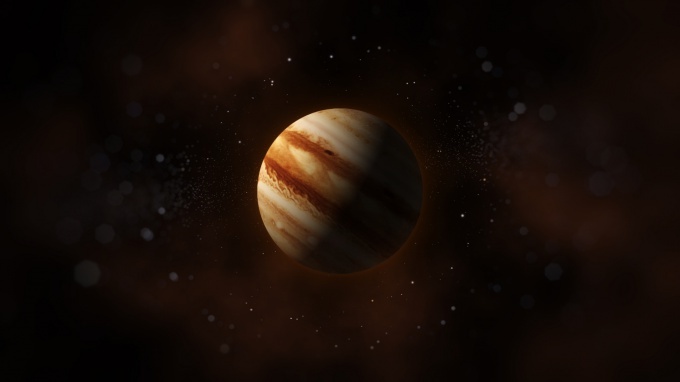 This planet shines bright and different from the stars size – if you know in which direction to look, you will easily distinguish Jupiter from other objects. You can watch the Jupiter and just like that, but much more interesting to watch on this planet using binoculars or even a telescope. Will fit small - 60-90 mm, and a telescope with a diameter of 150 mm -200 to consider the planet in great detail – you'll even see a cloud on its surface. Using even the simplest telescope you can see Jupiter in all its glory, and find with him 4 satellites.